LARRY FULLER: HIGH FLYING ADORED! 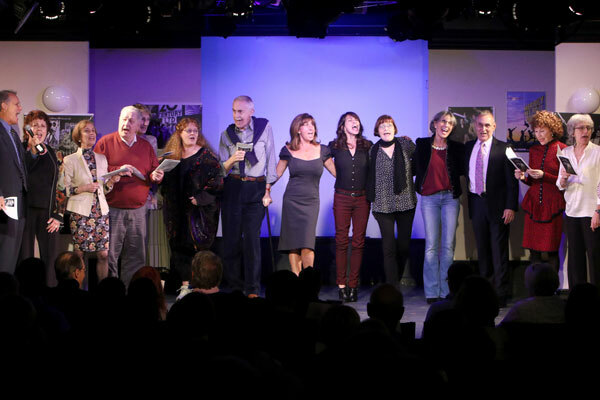 It was a gypsy-AND-star-studded event at St. Luke’s Theater as Dancers Over 40 honored DO40 Advisory Board member and DO40 Legacy Honoree director/choreographer Larry Fuller Monday night at St. Luke’s Theater in NYC. DO40’s mission is to preserve the History, Legacy and Lives of our mature creative artists while paying it forward to the next generation, and from tweets and emails after the performances and panels, it was an all-round hit! The evening began with a video clip of the 1985 Fuller-choreographed TONY awards featuring Juliet Prowse and Hinton Battle. 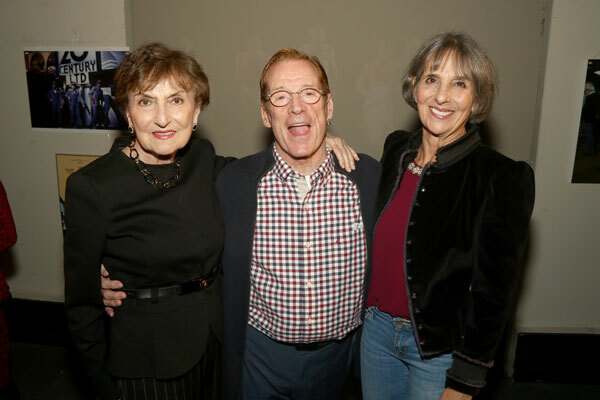 Then host Judy Kaye entered and told the fabled story about how she earned her first TONY on the 1978 Fuller-choreographed On the Twentieth Century. She then introduced 2nd VP of Equity Kim Jordan, who helmed the first panel of performers who danced side-by-side with Fuller in the Jack Cole shows Donnybrook and Kean (Judy Dunford McGrath and Roger Puckett) and West Side Story (Marilyn D’honau) as well as dancers from Fuller’s first Funny Girl he directed and choreographed at Papermill Playhouse (Joy Serio Dunbar and Michon Peacock). Act II opened with a clip from On the Twentieth Century, after which host Judy Kaye sang the hysterically funny song “Never” from the show and brought the audience to its feet! 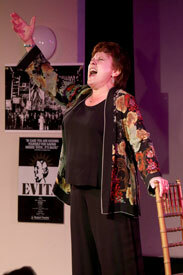 (DO40’s first standing ovation DURING an event!) 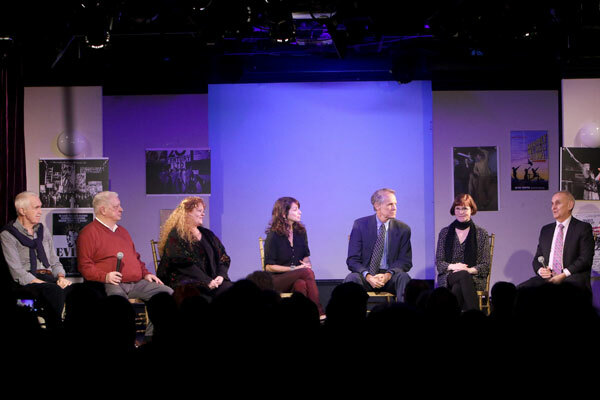 Judy then reintroduced Loni Ackerman as the moderator of Act II’s panel, Fuller’s Golden Broadway Years, featuring performers from the original Sweeney Todd (Sarah Rice), Merrily We Roll Along (Donna Marie Asbury, Mana Allen, Jim Walton) and Evita (Dennis Birchall). Many of these performers did double duty and “cross-pollinated” into Fuller’s other shows when one closed. Also on hand, Evita vets and DO40 members Ken Urmston and Lawrence Merritt. DO40 President John Sefakis then brought Fuller on stage for a short one-on-one discussion of his career. 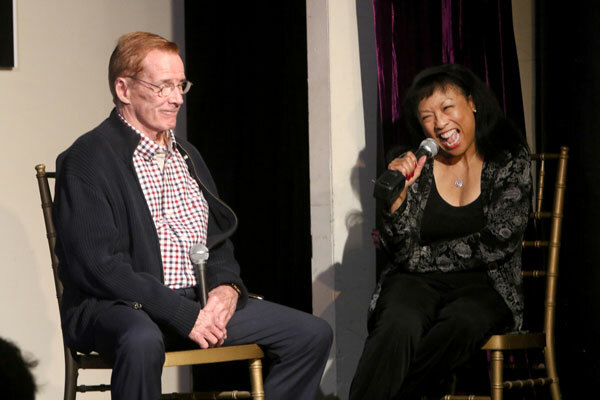 When asked by Sefakis who was the most influential person in his dance career, he said Jack Cole and proceeded to tell a story about getting notes from Jack one night in Kean when Jack was not pleased with one of the dances. He told Larry he looked like Ann Miller desperately trying a comeback in her bathroom slippers! 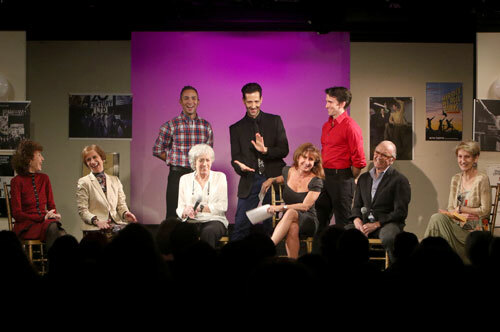 DO40 obtained four video tributes from people who could not attend the evening’s performance but wanted to send their regards: Angela Lansbury, Bob Avian, Ruta Lee and Hal Prince. Then Sefakis asked his videographer to come down to the front of the stage, and the house lights came on so audience members from Fuller’s shows could stand and be counted as well! The evening ended with Jim Walton reprising his role/song from Merrily We Roll Along, “Old Friends,” and sang it to Larry. He then asked the entire cast to come on stage and sing a few verses (which “happened” to be in the Program!) along with the audience. 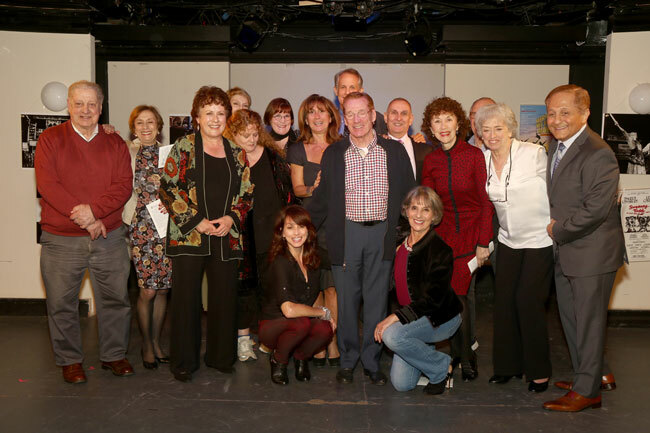 Dancers Over 40 is an all-volunteer, membership-driven non-profit arts organization dedicated to preserving the History, Legacy and Lives of our mature creative community, while sharing the knowledge with the younger generation just beginning their careers. The event was videotaped and will be donated to the Jerome Robbins Dance Collection at Lincoln Center’s Library for the Performing Arts. 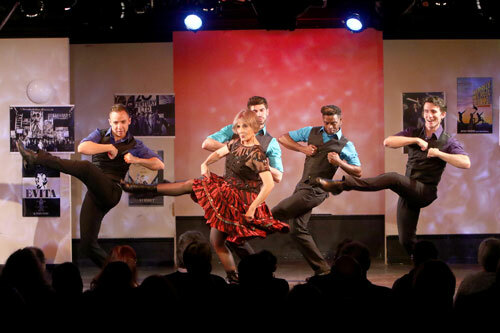 DO40 has produced over 20 such events and concerts just over the past 10 years, featuring greats Fosse, Verdon, Cole, Champion, Kidd, Gennaro, Bennett, Field, Layton, West Side Story, Balanchine, deMille, Page, TAP! with the Rockettes, TAP with June Taylor, The Ladies of the Radio City Music Hall Corps de Ballet, The Ladies and Gentlemen of the 40s and 50s, as well as four song-and-dance concerts at the Ailey Citigroup Theater/Joan Weill Center for Dance, to benefit Broadway Cares/Equity Fights AIDS. For more information on DO40 and how to join, go to www.dancersover40.org. And Special Surprise Guest at the end of the Evening, Baayork Lee! MEMBERS ONLY: Click to View the 13 Videos of this Event! DO40 2016 - Celebrating Larry Fuller: High Flying Adored!